Furry Fandom has been around since the 1980s, inspired by anthropomorphic animal characters with human characteristics. 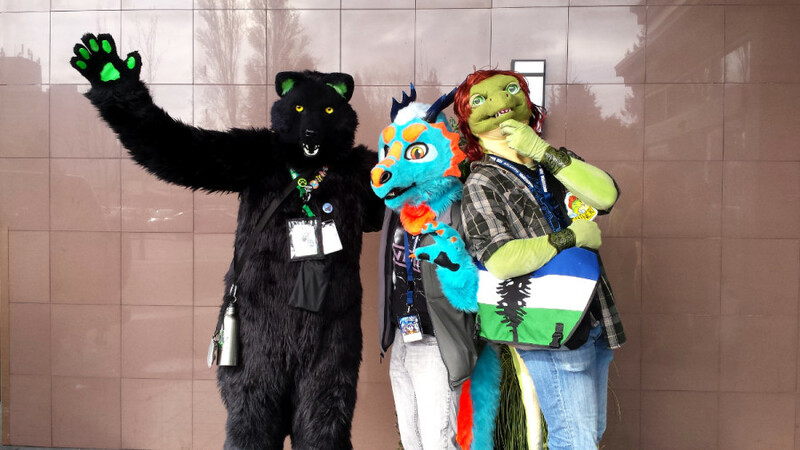 Furries meet all over the world in their fursuits, fuzzy and comfy looking costumes. Each fursuit can take up to six months to make, with advances in material and crafting making the costume breathable and movable. If someone at VancouFur does get overheated, there is a cooldown room with water, Gatorade and fans. Attendees of VancouFur 2016 came from across Canada, the United States, and as far away as Peru and Malaysia. The four-day convention outgrew their original home in Burnaby, and is now located in Richmond at the Executive Airport Plaza. Furry Fandom can be confusing to understand at first, and VancouFur vice chair Trapa shared that there are still misconceptions. One longtime Furry is Peli, who attended the convention in a green hyena fursuit. 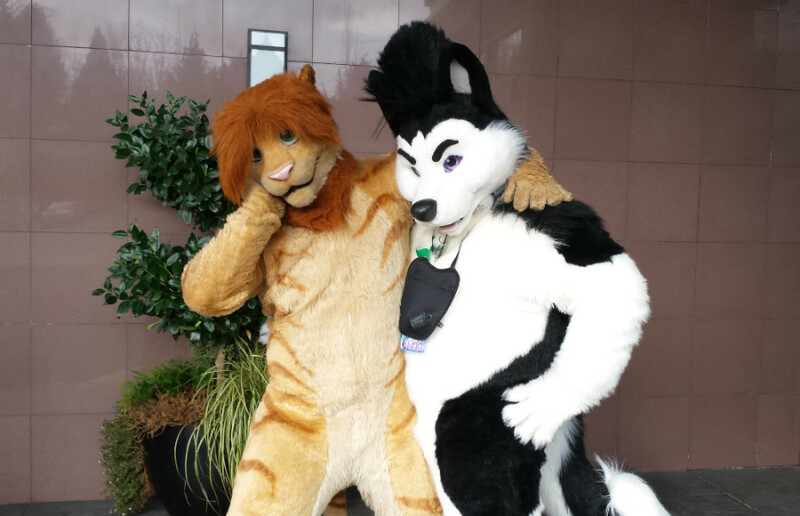 He actually met Cekuba at VancouFur 2, and now the two are married.